About 45 km from Krakow is the town of Wadowice. 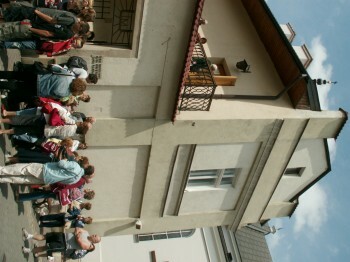 It was here on May 18, 1920, Karol Wojtyła, the later Pope, John Paul II, was born. The tour includes places that he visited (already being a Pope), in Krakow, we visit Łagiewniki where Saint Sister Faustina rests and where is also the centre of John Paul II with an observation tower from which a panoramic view of Krakow unfolds. On the way to Wadowice, where we visit the museum in the family home of Karol Wojtyła, we visit Kalwaria Zebrzydowska - the sanctuary of Passion and Marian o. Bernardine. In Wadowice itself, we recommend trying the local cream-cake during the coffee break - the favourite dessert of Pope John Paul II. 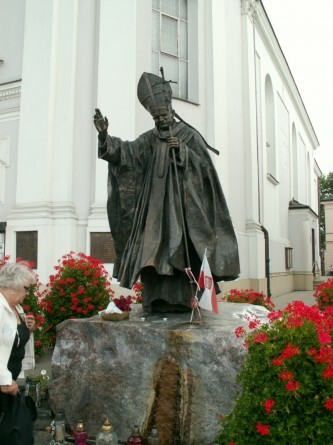 We offer the tour in the footsteps of Pope John Paul II in the PRIVATE TOUR option. We created this option to satisfy the most demanding of tourists. In addition to choosing the start and end times of the trip, a private comfort-class car with a private driver, the undoubted advantage of this version is the opportunity to visit the Home of John Paul II with a private guide in a previously chosen language. In this case, please make a reservation at least two days in advance. Only then we can guarantee full flexibility due to the ever rising interest in the museum of the pope in Wadowice. After the tour free time is available on site, during which we recommend to try the original Papal cream cakes, preferably with excellent coffee in one of the local restaurants. After the trip, our driver will take you to your chosen destination in Krakow, be it a restaurant where you can spend a pleasant evening/afternoon or another of the many attractions that Krakow has to offer. This option for an additional cost also allows you to extend the driver's services until the end of the day. Please provide this information at the time of booking so that we can fully tailor the offer to your needs. Please email us any questions about combining trips and tours in one day. Select a second tour and get a discount. The trip is possible every day of the week, regardless of the weather. In the case of rain, we provide umbrellas and raincoats. We recommend taking warmer clothes and comfortable shoes. People with disabilities can rent a wheelchair for free during the trip, but they are obliged to have a guardian who will help them navigate. Drivers are not allowed to enter the museum exhibition area with the group. In the PRIVATE TOUR version, it is possible to book a guide on site in a given language for an additional fee. 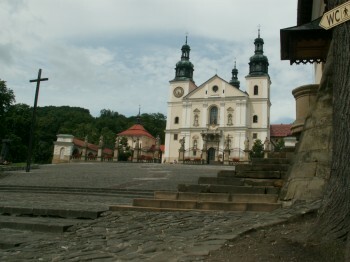 The tour usually takes about 4 hours and includes the centre and nearby monuments in Wadowice. We tailor the tour individually after consulting with you.